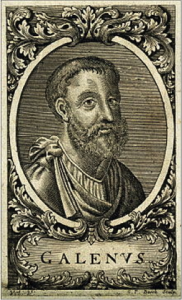 Galen of Pergamum (AD 129–c. 216), a central figure in the history of medicine and the intellectual culture of the Imperial period, has been the focus of much scholarly activity in the last few decades. This lively interest in him can be ascribed to his contributions to various specialised fields in the art of medicine – from anatomy to physiology and dietetics to pharmacology –, which were to influence Byzantine, Islamic, and Western medicine in significant ways. What is less often discussed or at best treated cursorily is his association with ethics, manifested in his in-depth philosophical education, his dialogue with prominent thinkers of the past (including Plato and Aristotle), and, most significantly, his 23 works on ethical philosophy, which he himself categorised as a distinct entity (On my own books 15). This state of affairs led me to work on Galen’s moral programme and more specifically on the practical advice he offers to people with regard to how they should conduct their lives. In a project I am currently running (started in 2013 and initially sponsored by the Wiener Anspach Foundation, Belgium), I aim to give prominence to Galen’s identity as a moralist by discussing the degree to which his ethical mindset was shaped and/or informed by his philosophical and medical background, social status, cultural affiliations, and occasionally idiosyncratic spirit. Another key aspect I am trying to tackle relates to the manner in which Galen adjusts his ethical guidelines to fit the needs and requirements of his readers, explicit and implicit, in different works. Issues of audience response are treated at length and are explicitly linked to the wide-ranging literary, rhetorical, and philosophical techniques that Galen adduces for this purpose. Crucial to my argument is also the distinction between Galen’s various target audiences, i.e. experts or beginners in philosophy, physicians or even amateur physicians (philiatroi), a wider class of elite readers, or combinations of the above. 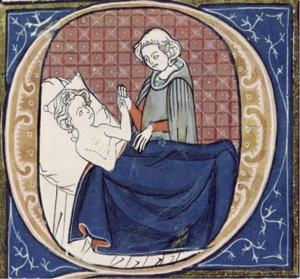 These distinctions elucidate the function of Galen’s narrative strategies and the variations of his ethical discourse depending on the context of production, a central point for many other medical authors as well. This was the rationale behind the international conference I co-organised in London in December 2014 with the topic Greek medical texts and their audience: perception, transmission, reception. The event was sponsored by the A.G. Leventis Foundation and the Institute of Classical Studies. medical tracts, which are to a large extent concerned with social commentary, deeply enmeshed in notions of morality, for instance the Recognising the best physician or On prognosis. What makes the examination of Galen’s ethical output even more worthwhile is the fact that, in addition to the above, it includes a newly discovered treatise entitled Avoiding distress (Peri alypias), which came to light unexpectedly just a decade ago and offers fresh insights into Galenic ethical discourse. In a recent article, I have argued that Galen’s individual moralising features, such as the autobiographical perspective of his narrative and the intimacy established between author and addressee, render his Avoiding distress exceptional among other essays, Greek or Latin, treating anxiety, especially when compared to the essays on mental tranquillity written by Seneca and Plutarch. 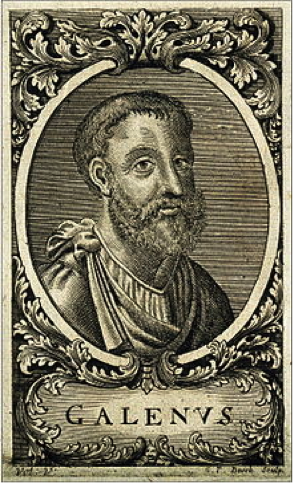 In addition, I have showed that Galen’s self-projection as a therapist of the emotions corresponds to his role as a practising physician as regards the construction of authority, the efficacy of his therapy, and the importance of personal experience as attested in his medical accounts. Galen’s rich ethical agenda suggests that he was not just keen to treat bodies but souls as well. Sophia Xenophontos is Lecturer in Classics in the School of Humanities in the University of Glasgow. Her research interests are in the Greek literature of the Imperial period (Plutarch, Galen) and the reception of the classical tradition in Byzantium and the Enlightenment. Thank you for your interest in this research, Leofranc!